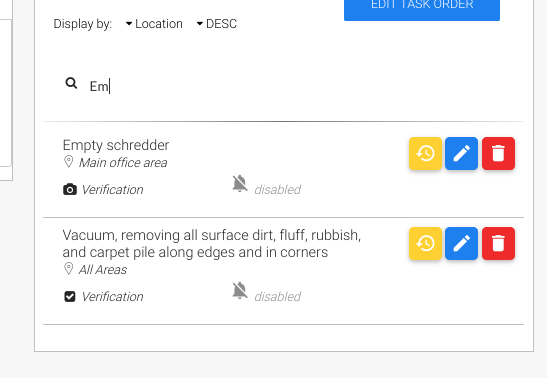 On a Site Page you can now find a Specific Task much easier by using our Task Filters and Search. 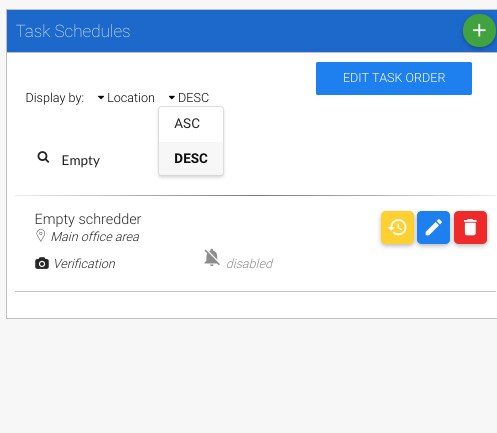 Type the name of the Task you are looking for in the Task Search in the Visit Schedules Column. 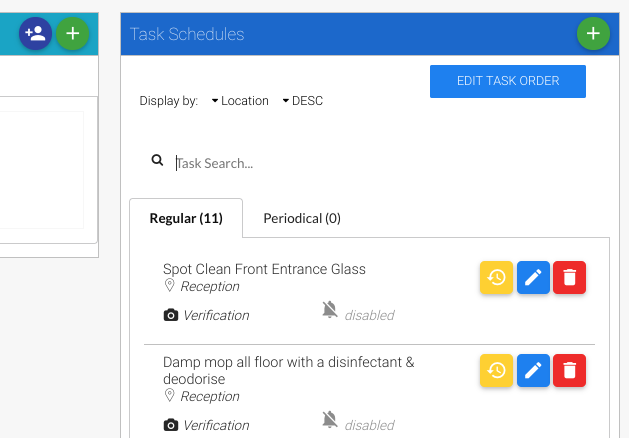 Task Schedules are often built and created in the same Order as the Scope of Works are listed on the Contract. However, sometimes when we are checking thins we want to display them in different order. Verification Type- List the tasks based on whether the team are required to Mark it Complete, Task a Photo or Tap a Waypoint. 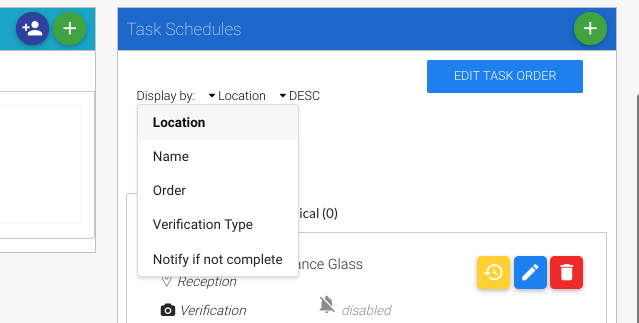 Notify if not complete - Lists the Task that you have set to get Notifications when not completed.